Cut the Bank of Canada Some Slack! On Monday, Bank of Canada Governor Mark Carney apologized to those offended by the Bank's handling of the design process of its latest $100 bills. It seems to me that the Bank always had good intentions, even if terribly executed. Given the feedback, it isn't surprising that the Bank reconsidered using the image. If they had left it, they were stuck with a bill that some found offensive. It was lose-lose. My two cents? Stick to pictures of animals. On Monday, Bank of Canada Governor Mark Carney apologized to those offended by the Bank's handling of the design process of its latest $100 bills, launched in November last year. 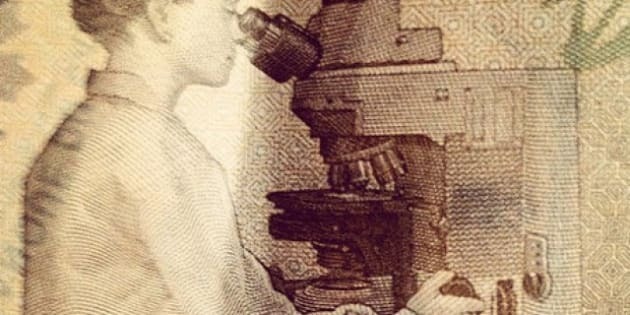 In October 2009, focus groups in a number of Canadian cities were asked to give their opinions on proposed images of the bill, which included a woman who appeared Asian looking through a microscope. Comments ranged from some praise for the multicultural connotations to accusations of stereotyping Asians and even criticism that the picture failed to properly represent Canada. In the end, the Bank altered the image by attempting to neutralize the ethnicity of the woman, and ended up with what many agree looks like a Caucasian woman on the bill. It seems to me that the Bank always had good intentions, even if terribly executed. Given the feedback, it isn't surprising that the Bank reconsidered using the image. If they had left it, they were stuck with a bill that some found offensive (though, I'm not defending the fact that people were offended by the image). By changing it they now have to deal with accusations of racism, and headlines that sardonically poke at their decision to "ethnically cleanse" the image. I think they were trying to do the right thing. Option #1: No unidentified individual on a bank note should ever look like they belong to a particular background. This is the most terrifying option. We have to start debating what constitutes "generic" humans. Yet, this is the precise situation we're in now. And the Bank's attempt at drawing a "neutral ethnicity" has been rightly criticized for looking too Caucasian. You can't actually draw a realistic looking "neutral ethnicity" because there's no such thing. We're all different and that's the point. Option #2: No individual with an identifiable background should appear to be doing something that people of their background are stereotypically associated with. Option #3: Ignore consideration of stereotypes altogether when depicting Canadians. Obviously this wouldn't work either. We have to retain sensitivity to historical prejudice. To ignore it might recklessly cause even more hurt by inadvertently promoting ideas that we've worked hard to move away from. Option #4: Only put animals on money. I'm actually fine with this option. So what's the answer? Perhaps it's simplistic, but I believe the answer is to let common sense prevail. If a focus group says that a picture may be racist, why not consult with leaders of the communities that may be offended? Why not consider adding more people to the picture? Why not question whether the focus groups' criticisms are the kind we actually should cater to in a multicultural society? The point is that there are many options one might consider before attempting to "sanitize" the image by altering an individual's features. This analysis has to be done on a case-by-case basis, but in all cases real care has to go into the decision that's made. And if that's too difficult, maybe just go with animals.